You are welcomed to send us RFQ now if you have demands for our products. Q:How can I get your quotation9 A:Please send us the details of the product you are in need of,also includes the quantity. If you have requirement about the shipping method,you can tell us. 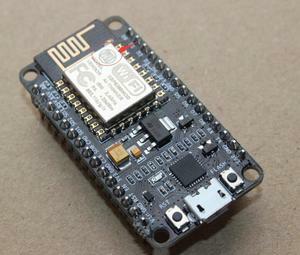 Lua core based on eLua project . GPIO pin re-mapped, use de index to access gpio, i2c, pwm, . Pls contact us directly and we will use your preferred ways. Welcome to SmartBes Best price ,Best quality,Best lead time ,Best service! We offer ( PCB/PCBA/FPC/Clone boards/Stencil/Membrane purchasing) service Shipping: Express: DHL, UPS, FeDex, EMS, TNT etc Other: By sea, By Air We are Alibaba Trade Assurance supplier and Gold supplier If we can not meet the requirements in your contract, will refund your covered amount. Enabling businesses to trade with confidence without any risk Also you can refer our website: Thanks for all your Supports for Smart bes! 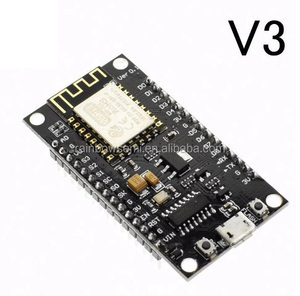 V3 Wireless module NodeMcu 4M bytes Lua WIFI Internet of Things development board based ESP8266 esp-12e ESP8266-12E is an enhanced version of ESP8266-12, perfect peripheral circuit, enhanced impedance matching, signal output better, whether it is stability or anti-jamming capability, have been greatly improved! 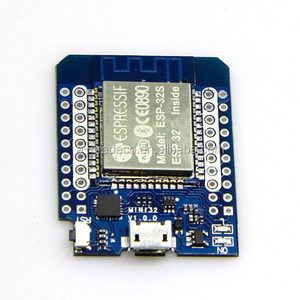 For those who choose ESP-12 before, even if the product has been made it does not matter, enhanced version is fully compatible with the firmware before the pin in the ESP-12 on the basis of the addition of six IO port, SPI port leads, the development more convenient, More extensive V3 Wireless module NodeMcu 4M bytes Lua WIFI Internet of Things development board based ESP8266 esp-12e V3 Wireless module NodeMcu 4M bytes Lua WIFI Internet of Things development board based ESP8266 esp-12e V3 Wireless module NodeMcu 4M bytes Lua WIFI Internet of Things development board based ESP8266 esp-12e V3 Wireless module NodeMcu 4M bytes Lua WIFI Internet of Things development board based ESP8266 esp-12e V3 Wireless module NodeMcu 4M bytes Lua WIFI Internet of Things development board based ESP8266 esp-12e The module core processor ESP8266 integrates the industry-leading Tensilica L106 ultra low power 32-bit micro MCU in a smaller package with 16-bit lean mode with 80 MHz and 160 MHz support, RTOS support, integrated Wi- Fi MAC / BB / RF / PA / LNA, onboard antenna. 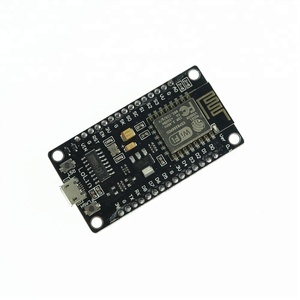 Users can use this module to add networking capabilities to existing devices, or to build standalone network controllers. 1 YRS Shenzhen Ruizh Industrial Co., Ltd.
Q2: Do I need to buy extra tool or parts to finish the assemble9 A2: No, you don&rsquo;t. Q3: Is there any instruction manual comes with the box9 A3: Yes, it comes with user manual and assembly video. Q5: Is the KS-i3 Support offline print9 A5: Yes, it is. 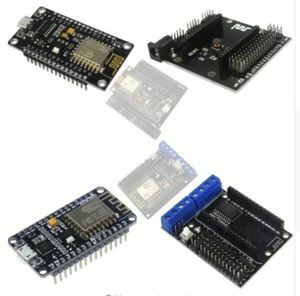 Alibaba.com offers 1,166 base development board products. About 33% of these are other electronic components, 30% are integrated circuits, and 1% are multilayer pcb. A wide variety of base development board options are available to you, such as drive ic, voltage regulator, and logic ics. You can also choose from plastic, metal. As well as from 6-layer, 12-layer. 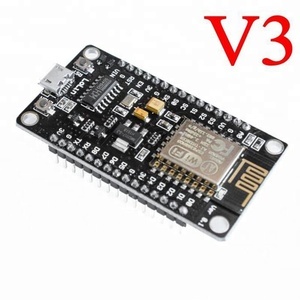 And whether base development board is free samples, or paid samples. 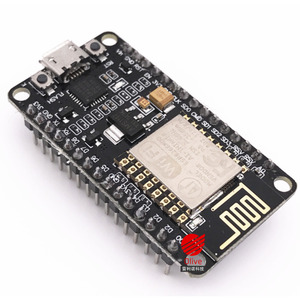 There are 1,166 base development board suppliers, mainly located in Asia. The top supplying country is China (Mainland), which supply 100% of base development board respectively. 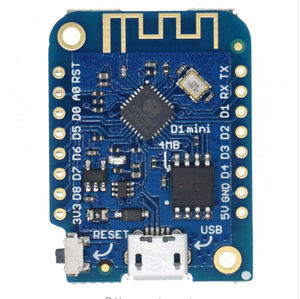 Base development board products are most popular in North America, Western Europe, and Domestic Market. You can ensure product safety by selecting from certified suppliers, including 291 with ISO9001, 58 with ISO14001, and 53 with OHSAS18001 certification.